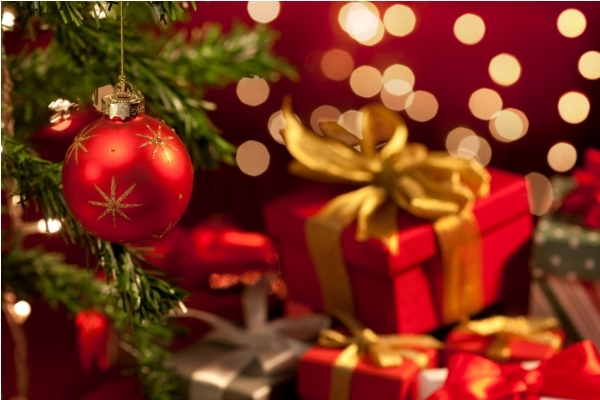 Christmas is the time to be happy and spread the cheer all around. Shower your loved ones with care and attention, so they know they matter to you. We’re pretty sure your significant other too is waiting for you to give them some special surprise this Christmas. 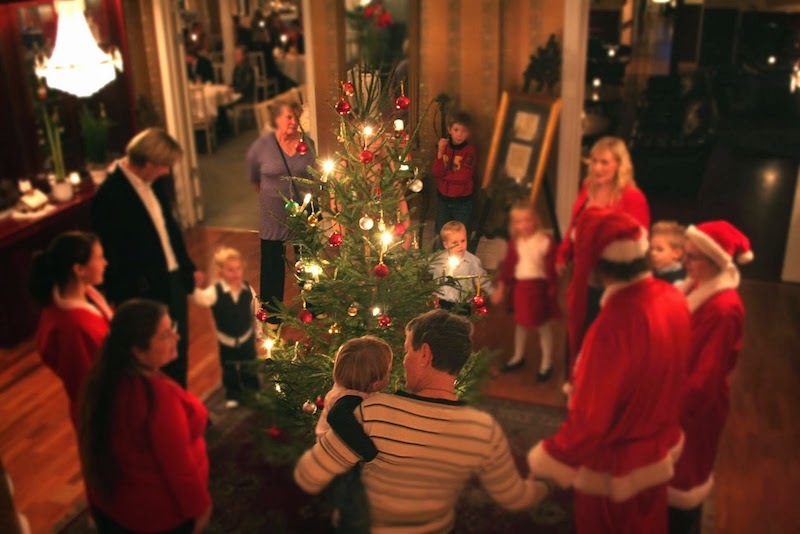 Go ahead and read the following romantic things to do this Christmas. Candlelight dinners are always a safe bet. Make reservations to a restaurant with a spectacular view and enjoy an intimate meal with nature’s beautiful scenery as the backdrop. We personally love a venue that’s just outside of the city and offers unspoilt views of the starry sky – nothing can be more romantic. Similar to the Christmas gift boxes that have been so popular lately, why not make the person you love – their very own ‘love’ box? You can put all sorts of charming little safekeeps from your time together. Plane and concert tickets, photographs and post cards. You can even include a charming gift certificate for naming a star after them, so every time they open their ‘love’ box, they’ll know just how much they mean to you. 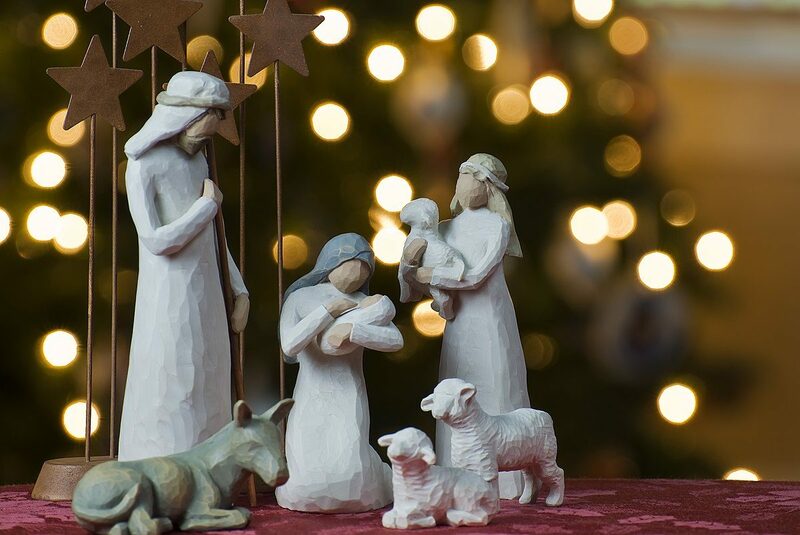 A lot of people are choosing to spend Christmas away from home at some exotic destination. Warm sunny beaches or warm chalets tucked amidst snowy mountain peaks – you choose! Start writing your adventure now and book a trip to a place you’ve always wanted to visit this Christmas to make it all the more special. Nothing brings people closer than shared interests. Is there something you’ve always wanted to do, but never quite found time to do it? Ask your partner to join you and make a change in your life. Dancing lessons, painting, sculpting, hiking and stargazing – the list goes on and on. Who knows – they might have wanted to try the same thing as you all along. Christmas is a time to spend with family, so if you haven’t already done it – pop over to your parents’ house to introduce them to the person you wake up every morning next to. Nothing says ‘I love you’ like making it official for friends and family. Besides, becoming exclusive unlocks a whole new level of intimacy in the relationship that is hard to describe. You’d be glad you did it! We’ve all looked up in awe at the starry sky and wondered about the far-away stars, galaxies and constellations. But in reality we know so little about what’s around us. Constellations (“set of stars”) are groups of stars that imaginatively been linked together by ancient civilizations to depict mythological characters, animals and objects from mankind’s history. This way our ancestors were able to organize the night sky into a recognizable form to assist in their religious study of the celestial heavens. This had other, more practical, applications as well, such as predicting the seasons for farming, and measuring time or as a directional compass. In 1922, the International Astronomical Union (IAU) officially recognized 88 constellations. 48 of them alone were recorded by the Greek astronomer Ptolemy in his book ‘Almagest’, which was written around 150 AD. Ptolemy’s chart had gaps, but over the centuries new constellations have been added to the list, until it completed the remaining constellations we are now familiar with in the night sky. Our knowledge of the constellations and the stars comes from the Greeks, the Ancient Egyptians, the Mesopotamian and even the Hebrew Bible. 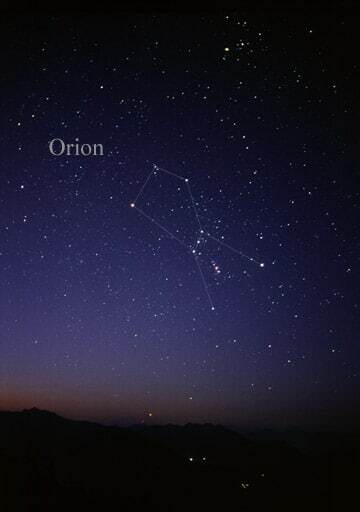 Orion is perhaps the most recognizable of all the constellations. 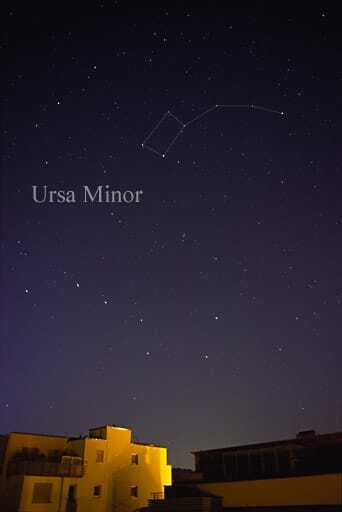 The biggest constellation is Hydra – it extends over more than 3% of the night sky, and the smallest is Crux covering a mere 0.165%. 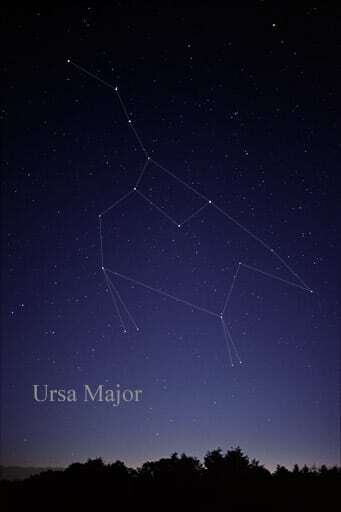 Everyone remembers from our school books the famous Ursa Major and Ursa Minor! Centaurus contains the largest number of visible stars at 101; while Canis Major contains the brightest star in the celestial heavens – Sirius. There are 100 billion stars the Milky Way galaxy alone and there is no better gift than to name one after a friend, a loved one, a relative or a colleague. There are so many reasons to sprinkle some star dust on someone special. We are sure that anyone of us has closest people that deserve to be treated in a special way. And with some moments in our life happening only once, such occasions require unique approaches to make these events all the more memorable. Choose from a large private star registry service that names clearly visible stars that will follow you wherever you go into the night. You can find and easily retrieve the stars we name at the Star Register page. After you purchase a star as a gift, you can even add a personal message and dedication to make this a truly unforgettable experience for someone. 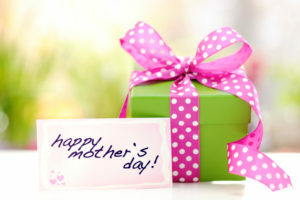 Mother’s Day is fast-approaching, and there’s a confusingly large variety of gifts on offer. But what to pick that you know she’ll love? And, more importantly, how can you be sure you’ll show her just how much she means to you? You can go with a safe (albeit cliché) option, such as flowers, candy, tea set, jewelry or a personalized card. Or, you can literally go the extra mile and show her you love her to the Moon and back! Naming a star after the one that gave you life is the loveliest gesture for this year’s Mother’s Day. Jazz things up for the 14th of May with a personalized certificate and a name of your choice of one of the stars that twinkle every night. If you’re tired of getting your mother the same ordinary Mother’s Day gift year after year – you finally have an alternative. Sure, cosmetics may be nice and thoughtful, but a gift should also be special and meaningful. Lighten your mom’s day with the thought that every time she looks up at the sky there’s going to be one little sparkle that lets her know how much you care. Sometimes, it’s the ones you love that hear it the least, but a gesture like this one speaks volumes. You can name the star yourself or you can let her pick it out. 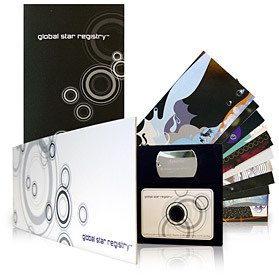 A personalized gift certificate will accompany the Gift Card that lets your mother know which sparkling star is reserved for her. Sometimes, you don’t have to spend hours planning and shopping online for an expensive gift when something simple can be all the more special. It’s about those little lovely gestures that show someone you love them and you’re deeply grateful for all their love and support all your life. Make 2017 Mother’s Day unique and unforgettable with a personalized certificate and a star named after Mom to show her she means more than the world to you! Love is in the air and it’s time to start planning a treat for your significant other this Valentine’s Day. But we all know how stressful shopping in the last minute can be, especially when you’re spoilt for choice with a ton of delicious chocolates, cute teddy bears, romantic bouquets of roses and tons of heart-shaped memorabilia. This is why we’ve prepared a few tips for an unforgettable St. Valentine’s Day to help you get through the madness of it all. When you’re planning something special for your loved one, there’s only one thing you need to remember – you’re creating memories and experiences. The more emotional the better. And what better way than to have the Moon and the stars speak to the sincerity of your feelings? 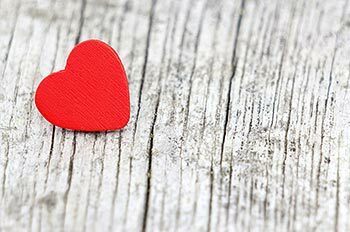 This Valentine’s Day our suggestion is that you forego traditional gifts that will end up lying around the house or stuffed in the back of the closet for something a bit more unconventional, but far more meaningful and impressive. A Trip to the Planetarium, maybe? Few things are more romantic than gazing at the night sky as you have your arm around your significant other. Nothing brings two people closer than an experience that puts it into perspective just how small and insignificant, yet extraordinarily special we all are. Share it with someone! Skip the fancy restaurant and go to a quiet, mesmerizing place, where you can both really enjoy each other’s company as you marvel at the intelligent design of our Universe and look at its raw, pulsating beauty. And, hey, if it worked for Ross’ first date with Rachel – it’s bound to work for you! End the night on a more intimate level with a personalized gift in the form of naming a star after the one you love and cherish. Make them know you really care as each time they look up at the sky – they know they have their very own wishing star! We offer a special star package with a gift certificate to include a personal message to someone close to your heart. This Valentine’s Day can be really special as you add a little sparkle to the holiday that celebrates love. Sometimes going the extra mile doesn’t have to be all that hard or take hours of intricate planning. After all, it’s all about celebrating your love in a way that brings you closer to each other, and we’re here to help you create experiences that last a lifetime! Every time we look up to the night sky we can’t help but trace all the stars we see shining bright. There is something peaceful, mystical and beckoning about those brilliant tiny specks that illuminate the darkest of our hours. There are 100 billion stars in our very own Milky Way galaxy alone and with the Christmas season just around the corner – what better gift than to name one after a friend, a loved one, a relative or a colleague? There are so many reasons to sprinkle some star dust on someone this holiday season! We are sure that anyone of us has closest people that deserve to be treated in a special way. And with some moments in our life happening only once, such occasions require unique approaches to make these events all the more memorable. Choose from our star registry service that names clearly visible stars that will follow you wherever you go into the night. You can find and easily retrieve the stars we name at the Star Register page. After you purchase a star as a gift, you can even add a personal message and dedication to make this a truly unforgettable experience for someone. Since celebrities started the trend of star-naming it is only becoming more and more popular as other people are joining in the exclusive way to commemorate a birthday, a wedding, an anniversary or the spirit of the Christmas holiday! It is the perfect way to truly leave your mark on the Universe in a way…Many things have come and gone, but history remembers Sirius and all other brightly lit stars that we continue tracing on the sky. Why not build an entire constellation for you, your friends, and family that will keep you looking up every night, from any point of the globe, and feel the love, friendship and closeness – no matter the distance? In the season of corporate parties and gift giving, you can step outside of the box and ditch worn-out ideas like coffee mugs and novelty items with something that will be the topic of the office well into the New Year. There are few things that people will enjoy more than having their very own star named after them. This is your chance to spread some Christmas joy! Below you will find 5 wedding gift ideas that are unique, thoughtful and even a bit offbeat! If your best friend, sister, cousin or a close co-worker is getting married, you want to give a gift that is beyond the ordinary. 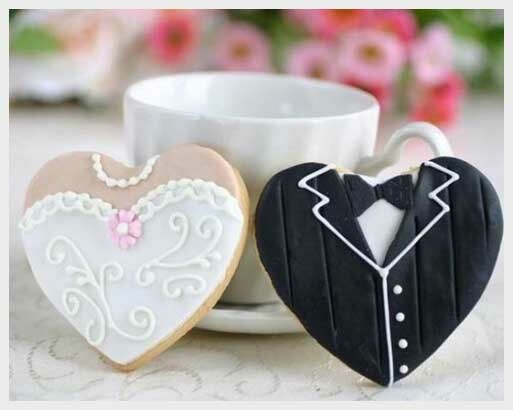 While towels, toasters, wall decor and kitchen gadgets are the normal wedding gifts, you want something that will really be used and appreciated by the bride and groom – instead of stuck up in the top of a closet! 1. Gift card for a home improvement store. Many couples spend their first year or so fixing up their new home. They may need to paint, add new trim around the windows, change the bathroom floor out or any number of things to make the home their own. Instead of sheets, give them a gift card to the local Home Depot or Lowe’s. 2. Home office supplies. Today, nearly every home has a home office where you usually find a desk, computer, chair, file for the household bills and other things. Instead of a toaster, why not get a shredder, some computer equipment or even an ergonomic chair? If you don’t know exactly what to get, give a gift card for Staples or any office-supply store that carries a large selection. 3. Entertainment collections. Many people are huge music and movie fanatics, and some love reading as well. The wedding couple may enjoy non-traditional movie or music collections, or even a selection of coffee-table books. 4. Day at the beach. If the wedding couple lives in an area where the beach is within driving distance, give them a gift they will really appreciate! Put together a package consisting of beach towels, a straw tote, cooler, drink cups, paperback books and a clip-on beach umbrella. Outdoorsy types who love the sun will appreciate this gift perhaps more than any other they receive. 5. Date night coupons. Sometimes after people marry, they tend to forget about setting apart time to go on a “date”. Give them tickets to the movies, a sports event, the theater – and throw in a gift card for a fancy restaurant so they can make an entire evening out of it! till not happy with the suggestions above? Check our Star Kit Packages Show them that you really put some thought and consideration in to their special day and new life together.